HomeSelling a HomeShould We Pressure Wash Our Driveway Before Staging Our Home to Sell? A home buyer’s first impression on your home should be a pretty good one. Most buyers would give your home less than a minute to decide whether they should enter and give it a more critical glance. So it’s very important to ensure that your house’s exterior is enticing enough for them to want to view the inside. This raises a good question for many homeowners. 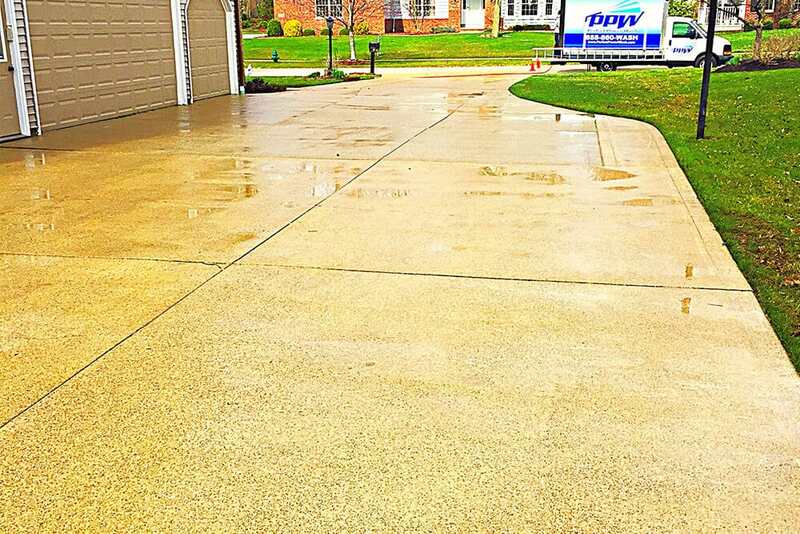 Should you pressure wash your driveway before staging your home to sell? Yes! You definitely should. It’s the part of your property that a potential buyer would immediately notice before anything else. As soon as they step outside their vehicle and onto that pavement, a first impression is made. It is a clean impression? The answer to that question is so important for your home marketing! So, here are some compelling reasons we put together to ensure your driveway is appealing enough for home-buyers to say “yes!”. A dirty driveway is a major turn off to a home buyer. It’s like your house saying, “Hi, there. I’m the garage and I’m quite dirty. Get in so you can see more places like me.” Well, that hurts. Especially if you did your best to clean up the entire house for the home’ buyer’s visit. So do clean it up and make your home impress buyers at first sight! It helps your home sell faster and with less hassle. If your house makes a good first impression with potential buyers, you have a higher chances of it being sold faster. If you were able to convince them that your house is still worth the cost because of its clean appearances and good features, chances are better that they would not take long to move forward on the home buying and negotiation process. 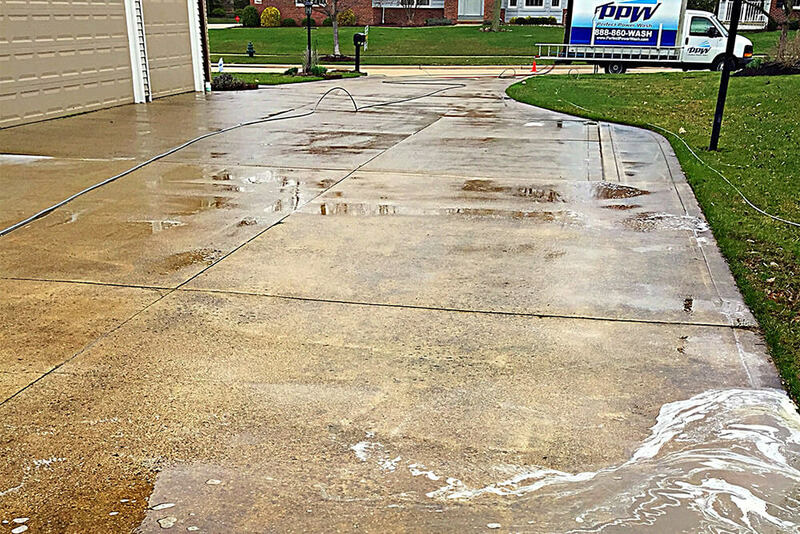 A clean driveway adds value to your home. Another reason to clean up your driveway is that in can add value to your home. You’d like to get the best price for your pre-loved house right? So make sure potential buyers fall in love at first sight! A recently pressure washed home can increase it’s value from $5,000 to $15,000 depending on the size, According to the National Association of Realtors. Clean your windows and repair screens. 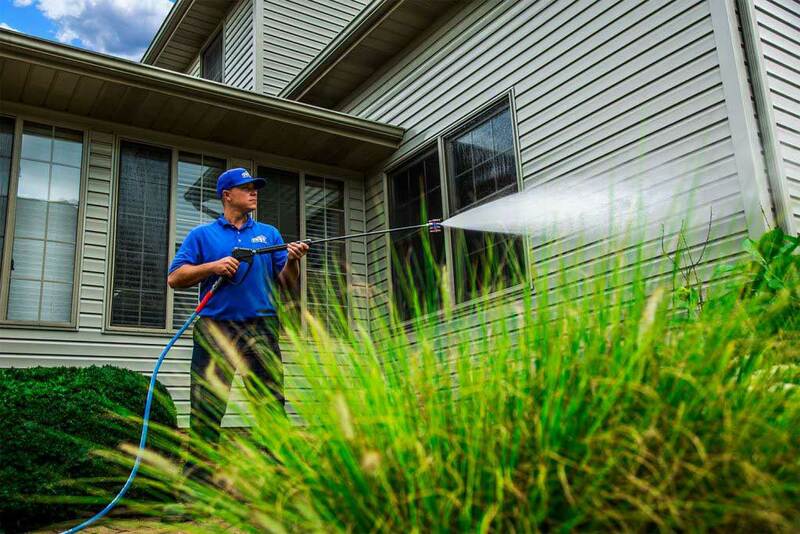 Pressure wash or scrub your exterior walls. Clean up your front and backyard. Do this frequently while you’re on the market. Keep unused equipment in storage. Replace busted light bulbs. You don’t have to buy expensive ones. Just ensure they work. Clean up your house address numbers. Replace your front door if needed. Remember that a great curb appeal and a good impression screams “Buy me!” to home buyers. Home sellers that do these simple but important staging tips sell more quickly and have fewer concessions over the asking price. Can’t find time to do it yourself? There are local pressure washing companies just like Superior Cleaning of Birmingham, Alabama all over the US. Go to Google and find a reputable local contractor to clean your house and driveway. Always be sure to ask if they carry insurance and check reviews before hiring a company to pressure wash your driveway. Happy Selling!